-Brushing teeth and gums together. The bacteria are living at the junction of teeth and gum. 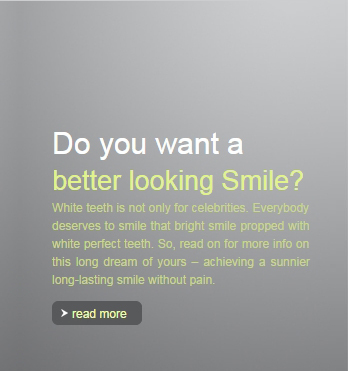 -Brushing all surfaces of the teeth (external , chewing , and internal ). 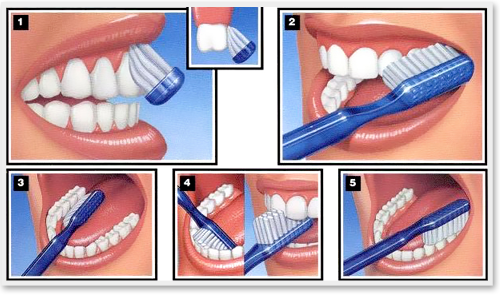 -Know the right angle that touch brush teeth - 45 degrees. -Brushing teeth, including wisdom teeth - if any. -Brushing the tongue from the back to the front. -Brushing teeth twice a day at least. Best toothbrush is the soft, rounded-end bristles and a head that is small enough to reach all parts of your teeth , to remove the bacteria adherent plaque on the teeth. Obviously the belief that the medium or coarse Brush removes debris better, but studies have shown that this is not true, but vice versa, the medium or coarse Brush remove the protective enamel layer of the teeth. The teeth cleaning every six months is responsible for removing lime accumulated on the teeth, if any, and after removing solid tartar , all you have to do is to use a soft brush to remove plaque that accumulates constantly on your teeth. There is no scientific study prefers a toothpaste on the other to protect against tooth decay. But make sure when you buy toothpaste to find " a fluoride" word on the pack . As the fluoride participates significantly to strengthen teeth and reduce tooth decay. I notice bleeding when brushing my teeth, what should I do? Bleeding is very natural in the first days of brushing your teeth properly. On the contrary, when you use a soft toothbrush , bleeding contribute to the activation of the gums, and means you're on the right track towards healthy teeth and gums.